I am sure that all in our District are horrified about what has taken place in Christchurch today and our thoughts and prayers are very much with the victims and their families, and with the Muslim community in Greater Christchurch, including Waimakariri, and across New Zealand. We are also thinking of our colleagues in the Christchurch City Council and acknowledge the huge pressure that our Police and medical services are under and thank them for all that they are doing. I have decided that this will be on my last term on the Waimakariri District Council. The term ends in October 2019 and by then I will have been Mayor for nine years and a member of the Council or its predecessors for 30. I started as a Rangiora Borough Councillor in 1983. Three years later the Borough amalgamated with the surrounding District to form an enlarged Rangiora District Council. 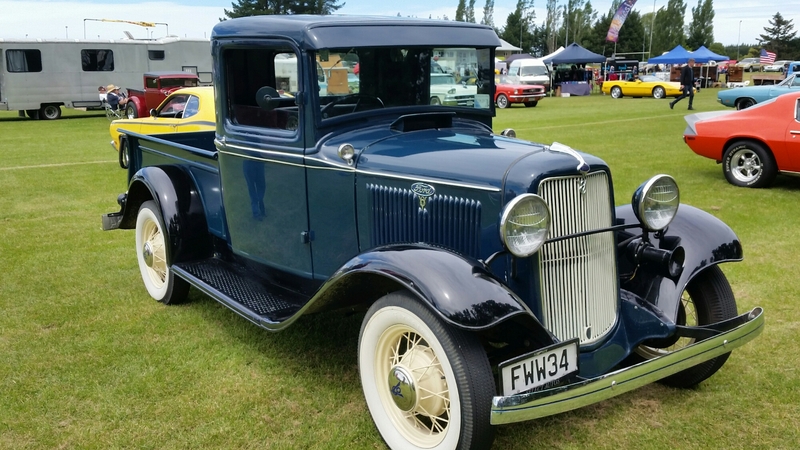 The Waimakariri District Council came into being in 1989 and included the former Rangiora District (by them amalgamated with Eyre County), Kaiapoi Borough, Oxford County and the southern part of Hurunui County. In 1995 I was appointed Deputy Mayor alongside Mayor Janice Skurr. In 2001, I stood down under pressure of work – it had become too much along with my job as Assistant Principal at Rangiora High School. For the next six years I chaired the Rangiora Ward Advisory Board, an appointed predecessor of today’s Rangiora Ashley Community Board. I was re-elected to the Council in 2007 and won the Mayoralty in the local government elections of 2010, just one month after the 4 September 2010 earthquake. The Mayor of Waimakariri, David Ayers, has announced his intention to retire at the end of the current Council term in October 2019. David Ayers was first elected to the Rangiora Borough Council in 1983 and is the only Rangiora Borough Councillor to have served on the Waimakariri District Council. By October next year, he will have spent 30 years as a councillor or mayor – plus six years in the early 2000s chairing the Council’s Rangiora Ward Advisory Board. He was Deputy Mayor between 1995 and 2001 and was elected to the Mayoralty in 2010. 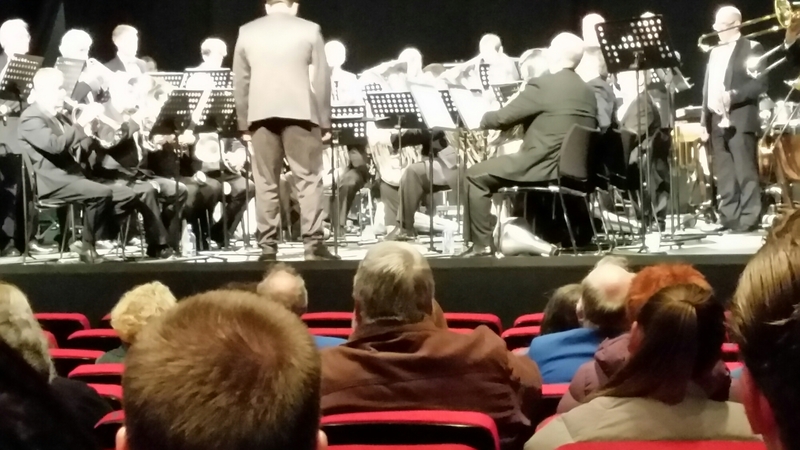 “Coming to the mayoralty one month after the September 2010 earthquake has meant that my time has been dominated by earthquake recovery, earthquake-prone buildings and town centre rebuilding,” he said. “However, the time to look back will be some time in the future. There is plenty ahead of us on the Council over the rest of the term, including the on-going post-earthquake projects in the Kaiapoi and Pines-Kairaki Regeneration Areas. 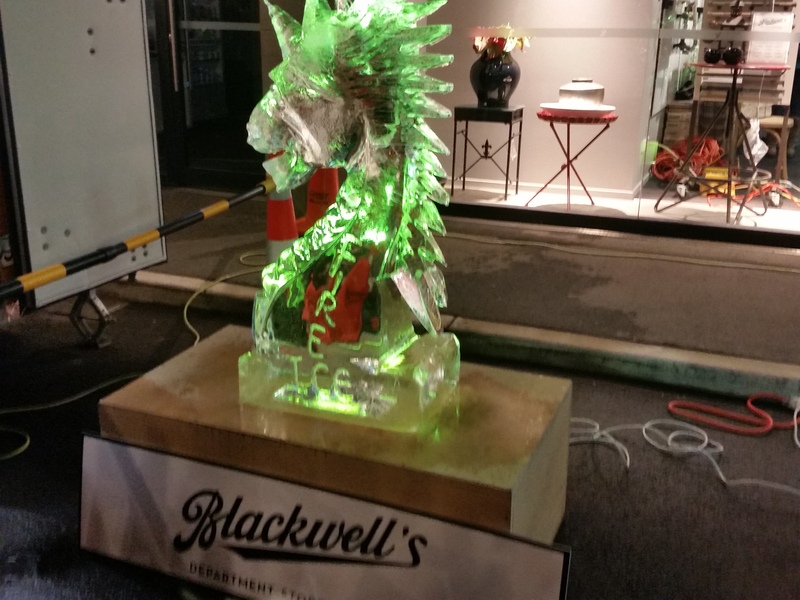 Big crowd tonight enjoyed food stalls, fire dancing and this afternoon’s ice sculptures. Sefton Tug of War is Back! Christmas Tree Festival in the Council Foyer Again! 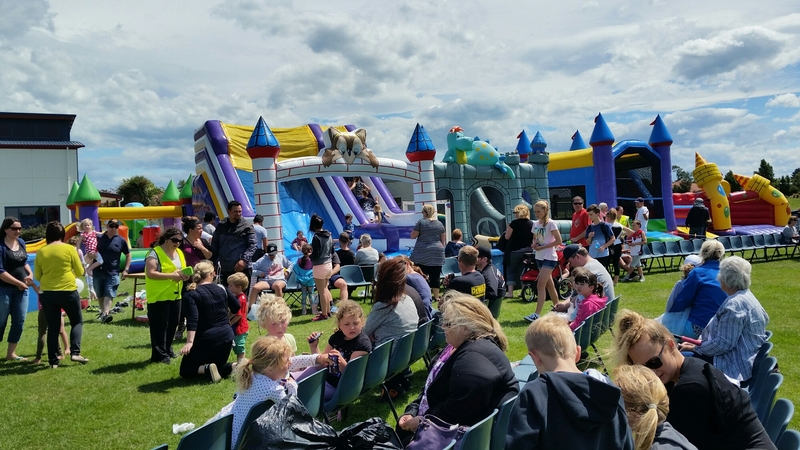 Bouncy Castles Gather at Kaiapoi North School! Kaiapoi North School staged a fundraiser today in the form of a car boot sale. As you can see, there were things for the kids too! ​Thank you to all who have sent messages via different media. If you had asked me six years ago, newly elected to this position and one month after the September quake if I would have survived into a third term, I would have expressed my doubts. However, a unified Council and community have returned much the same council for three terms in a row and for this we are grateful for your support. The next three years will be dominated by the recovery of the regeneration areas in Kaiapoi and Pines-Kairaki, by a variety of water issues and by planning for current and anticipated growth. Fortunately we have a Council that has one of the soundest financial footings in the country. Thank you for your support and we look forward to working together as a Waimakariri District to meet our challenges. This event is happening in Kaiapoi and Oxford next week. Lesley Elliott tells the story of her daughter Sophie’s relationship with Clayton Weatherston and the signs of abuse that friends and family did not recognise. Lesley has travelled all over New Zealand speaking to raise awareness of the signs of abuse in hope to avoid another tragic death like Sophie’s. Oxford is Full of People Springing In! 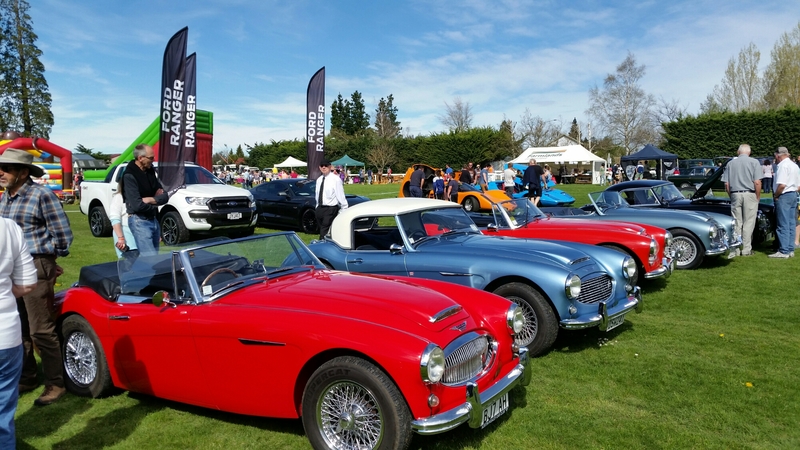 Classic cars have poured into #Oxford for Spring into Oxford – all ages, all makes. The town is buzzing with markets too! The amazing variety of daffodils that are out there were on full display at this year’s #Woodend Flower Show. 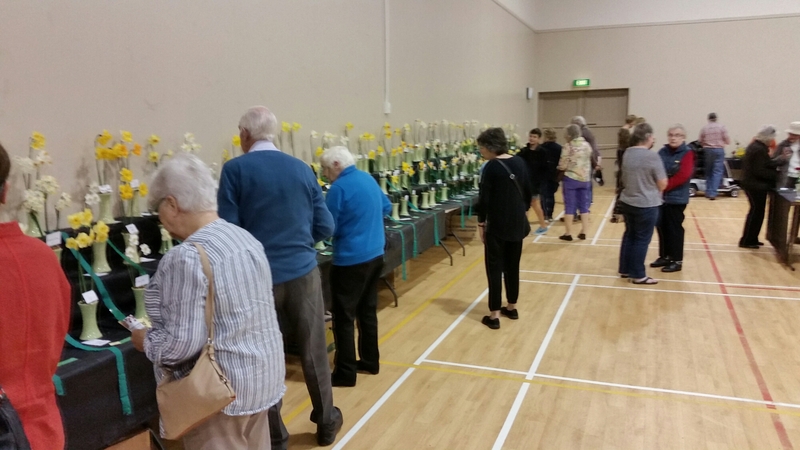 A big crowd turned out for the premier flower show in #Waimakariri.